Dr. Vincent Tupper is an Interventional Pain Management Specialist in Crown Point, Indiana. 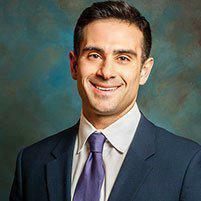 He graduated with honors from Umdnj-Robert Wood Johnson Medical School in 2014. Having more than 5 years of diverse experiences, especially in INTERVENTIONAL PAIN MANAGEMENT, ANESTHESIOLOGY, Dr. Vincent Tupper affiliates with many hospitals including Pinnacle Hospital, Franciscan Health Olympia & Chicago Heights, St Mary Medical Center Inc, Community Hospital, St Catherine Hospital Inc, and cooperates with other doctors and specialists without joining any medical groups.